Managed Services is a term that can mean a lot of things to many different people. There are even examples of managed services being used without any hint of technology at all. The term managed services, as it is used in the technology industry, has a precise meaning particularly for those companies who call themselves Managed Service Providers (or MSPs). A managed service provider (MSP) is a company that remotely manages a customer's IT infrastructure and/or end-user systems, typically on a proactive basis and under a subscription model. MSPs usually charge a flat monthly fee under the subscription model. This approach provides the MSP with a monthly recurring revenue stream, in contrast to IT projects that tend to be one-time transactions. MSPs often provide their offerings under a service-level agreement, a contractual arrangement between the MSP and its customer that spells out the performance and quality metrics that will govern the relationship. To keep labor costs in check and improve efficiency, most MSPs employ remote monitoring and management (RMM) software to keep tabs on clients' IT functions. RMM software lets MSPs remotely troubleshoot and remediate issues with servers and endpoint devices. With RMM, MSPs can manage numerous customers' IT systems simultaneously. Managed services work differs from other business models in the IT solution provider and channel partner space. One key departure is recurring revenue. Solutions providers pursuing the break/fix model, for example, usually price their services on a time-and-materials basis, billing an hourly rate for repairing a customer's IT equipment and charging for parts or replacement gear. Companies performing IT project work, such as computer systems installation and integration, may charge a fixed price for products and services. Either way, those solutions providers generate revenue on a one-time basis from each project; an exception would be large projects with multiple milestones and associated payments. But, in general, the conventional solution provider business is mainly transactional. An MSP's recurring revenue stream, on the other hand, potentially provides a more stable and predictable base of business. The prospect of recurring revenue has attracted many traditional solution provider companies, such as value-added resellers, to the MSP business model. However, would-be MSPs have struggled to establish themselves in the market. The MSP line of business calls for companies to adopt different performance metrics, technology infrastructure components and sales compensation programs, to name a few challenges. As a result, many MSPs derive revenue from business lines other than managed services, such as IT project work and break/fix business. Pure-play MSPs are relatively rare in the IT services industry. Small and medium-sized businesses are typical MSP customers. Many smaller companies have limited in-house IT capabilities, so may view an MSP's offering as a way to obtain IT expertise. Larger enterprises may also contract with MSPs, however. For example, government agencies, facing budget pressure and hiring limitations, may contract with an MSP to supplement in-house IT staff. The MSP subscription model provides customers of all sizes the advantage of predictable IT support costs. And because MSPs take a proactive approach, they may be able to prevent IT problems from occurring and therefore from disrupting business operations. The evolution of MSPs began in the 1990s with the emergence of application service providers (ASPs), which offered remote application hosting services. ASPs helped pave the way for companies that would provide remote support for customers' IT infrastructure. MSPs, for the most part, initially focused on the remote monitoring and management of servers and networks. But over time, MSPs have expanded the scope of their services in a bid to differentiate themselves from other providers. MSPs now often remotely support a client's endpoint devices and have built offerings around mobile device management. Companies have also developed specializations: managed security services providers (MSSPs), for instance, offer services such as remote firewall administration and other security-as-a-service offerings. Managed print services providers, meanwhile, offload the task of maintaining printers and supplying consumables. MSPs now face the challenge of cloud computing. As more of their customers' IT infrastructure components migrate to the cloud, MSPs have had to find ways to manage hybrid cloud environments. 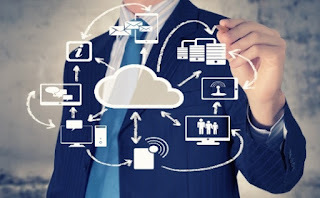 MSPs also seek to provide their own cloud services or resell other cloud provider capabilities, with cloud-based backup and disaster recovery a common entry point. Managing the people, processes and toolsets of your ICT operations is complex, time-consuming, costly and distracting. Internal systems and capabilities take time to build and are expensive to maintain - particularly in new or specialised domains. Yet, you need to ensure that your ICT runs cost-effectively and meets your evolving business needs. The more closely a Managed Service provider can get to these two goals, the more perfectly they can achieve a truly managed service and the more they can get away from “everything being an emergency” situation. Just like larger companies, small businesses need technology to operate efficiently and to compete effectively. But as reliance on IT grows, the resources needed to support this increasingly complex IT environment may not. In many small businesses, IT resources are limited and can be quickly overwhelmed. Managed services providers usually price their services on a flat-rate monthly basis. Depending on the services included in the program offered, pricing is usually based on the number of devices, with different packages priced at different levels. Some providers offer on-site customer support as an extra fee. Basic services often start with a monitoring service, which notifies the ”you” of problems, which you resolve on your own. At the upper end of the spectrum, service providers offer fully managed services that cover everything from alerts through problem resolution. Put in simple terms - one of the biggest benefits of Managed Services is discovering and fixing problems before they can negatively affect your business. A well maintained, proactively serviced computer network will always run better than the alternative. With proactive network monitoring, patch management, and desktop optimization performed on a regular basis, you will notice a tremendous difference in operations and you will reap the benefits of preventing fires, rather than fighting them.